If you travel frequently, chances are you’ve encountered an event that could have been less stressful and less expensive if you’d purchased travel insurance. Perhaps it was that cruise you booked but couldn’t take due to your broken ankle. Or maybe your flight had a weather delay and were forced to pay for an expensive hotel night, meals, and transportation. Maybe you made it to your destination without incident — but your luggage never arrived. Whether you’re escaping for the weekend or planning an around-the-world adventure, travel insurance is worth considering if you would experience financial loss should things go wrong. But how do you select the right travel insurance company and the appropriate policy for your specific situation? The vast number of choices can be daunting, but we can help you narrow the options. Let’s explore some of the best travel insurance companies and what to look for when selecting one to purchase your policy with. Travel insurance is protection you purchase to cover you for the specific types of losses you could experience while traveling. You can purchase a policy that covers an individual trip, multiple trips, or a family policy. Another choice is an annual policy that covers all of the trips you would take in a 12-month period. Look for ratings on the company’s website — Look for ratings such as A+ on a company’s website, or access their financial rating on sites such as A.M. Best, Moody’s, or Standard and Poors. See if they’re accredited by the Better Business Bureau — BBB accreditation is a real plus, and companies who have it will flaunt it. Look for the word “Insurance” — Travel “protection,” “assurance,” or simply “travel policy” don’t mean the same thing. If the company is not an insurance company, it may not be regulated — and you may not be protected if the company dissolves or decides not to pay your legitimate claim. Hot Tip: Due to “free look period” regulations that apply to insurance companies, you’ll also have the opportunity to review your policy and reject it if you are not satisfied. The best plan of action is to purchase your travel insurance as soon as you’ve made your first trip deposit. Bottom Line: Buy from a regulated insurance company that has a high financial rating and BBB accreditation. Additionally, purchase your policy at least 21 days in advance of your trip to take advantage of pre-departure coverages and benefits. If you’re an active traveler, chances are your activities — even dangerous ones — can be covered with World Nomads Insurance. Image courtesy of World Nomads. If you’re the type of traveler who partakes in adventure activities such as white water rafting, scuba diving, or even bungee jumping, there’s one company that stands out above the others. World Nomads offers comprehensive travel insurance plans that cover a huge variety of over 200 activities — even dangerous ones! But you don’t have to be a risk-taker to benefit from World Nomads travel insurance. Any traveler can benefit from their policies, which offer a combination of the coverages travelers need most. Let’s take a look at a sampling of their travel insurance policies to get an idea of the coverage and cost. World Nomads offers Standard Plans and more comprehensive Explorer Plans. Comprehensive Explorer Plan for a 40-year-old traveling 6 months to 5 countries. Image courtesy of World Nomads. Let’s take a look at a shorter term policy for a 35-year-old traveling to 5 countries over a 1-month period. The cost for this policy is $133 for the Standard Plan and $236 for the Explorer Plan. Sample of 1-month term travel insurance with World Nomads. Image courtesy of World Nomads. Your World Nomads travel insurance policy covers you once you’re more than 100 miles from home, so their policies are great for domestic travel too. If you want a comprehensive travel insurance policy with all the coverage you would need when traveling, World Nomads is a good choice. You must be under age 70 to purchase travel insurance from World Nomads, and they do not cover pre-existing conditions. For travelers age 70 and up, World Nomads partners with Silver Nomads to provide coverage through TripAssure. To secure a quote now for travel insurance, visit the World Nomads website. Your entire family can be covered on 1 policy when purchasing travel insurance with Travelex. Image courtesy of Travelex. Obtain a family travel insurance quote from most companies, and you’ll be charged for each child added to the policy. Travelex does things a bit differently and covers children under the age of 18 on the parent’s policy at no additional charge. As an example, their Travel Select policy for a family of 4 (ages 35, 36, 8, and 10) on a 2-week trip that costs $4,600 quoted a premium of $242. There are plenty of upgrade options available, such as cancel-for-any-reason coverage and additional medical coverage. Travelex is also backed by A++ rated Berkshire Hathaway Specialty Insurance Company and accredited by the Better Business Bureau. Be sure to compare rates between companies to find the best value for the coverage most important to you. Bottom Line: For family coverage all on 1 policy, comprehensive protection, and good value, Travelex is a solid choice. An annual travel insurance plan may be a wise choice if you travel frequently. Image courtesy of Allianz. If you’re taking 3 or more trips a year, an annual travel insurance policy could save you money. An annual policy also has the added benefit of insuring trips you haven’t even booked yet! Consider including travel insurance provider Allianz when comparing policies if you’re looking for coverage for multiple trips during a 12-month period. Allianz was voted best travel insurance provider by Travel Weekly for 2018, but that’s just one of the 12+ awards this company won during the year. After reviewing several companies and policies, I purchased my annual travel insurance policy from Allianz because it was the right mix of price and coverage for my travel schedule. In addition to the coverage listed in the above example, these annual plans include baggage loss/damage, travel delay, and car rental coverage. Additional coverage included on Allianz annual travel insurance. Image courtesy of Allianz. To determine if an annual travel policy is better for you, simply price each planned trip separately and compare the cost and coverage to the annual policy. Allianz also offers affordable travel insurance plans for families. Hot Tip: An annual travel insurance policy with Allianz has the added benefit of covering trips you haven’t yet booked! Any trips 45 days or less in length are covered. Supplement your current medical insurance for worldwide travel with an annual GeoBlue policy. Image courtesy of GeoBlue. If you have current medical insurance that will not cover you while traveling, the type of medical travel insurance policy you purchase will be different than if you do not have current medical insurance. Fortunately, medical travel insurance coverage is available in either scenario. If you have current medical insurance, you can affordably supplement it with a GeoBlue medical travel insurance plan and have coverage worldwide. For those who don’t have current medical insurance, one option is to purchase a comprehensive plan that includes medical, such as Exact Care Plus policies with Berkshire Hathaway Travel Protection. This example is for an annual comprehensive travel insurance policy for a 35-year-old (costing $292). Terms and conditions apply, and the price will vary depending on the cost of the trip, destinations, age of traveler, and coverage selected. Hot Tip: You may be able to secure an annual comprehensive travel insurance plan that includes primary medical coverage for not much more than just an annual medical travel insurance plan. According to Medjet, over 2 million travelers each year need medical evacuation. Unfortunately, emergency medical evacuations can run between $30,000 and $150,000! Backed by Lloyd’s of London, A + rated, and BBB accredited, Medjet is the premier provider of emergency evacuation services. Medjet is not insurance — it is a membership that assures you’ll have medical transport when you need it, even in remote areas. Short term membership starts at $99, while annual membership is $295. Coverage includes worldwide medical transport and associated services. Additional coverage is available for terrorism evacuation, kidnap for ransom, disappearance, wrongful detention, and blackmail/extortion. Are you current or former military, a senior traveler, disabled, or simply want to make sure you have insurance when traveling with your pet? Fortunately, specialty travel insurance is widely available to everyone. Military members have unique circumstances when it comes to travel insurance, such as redeployment and other situations specific to military service. USAA members receive extra protection and exclusive rates on travel insurance policies. Current military, their families, and former military can qualify. Additionally, children are included on most plans for no extra charge. World Nomad partner TripAssure offers travel insurance for those 70 years old and above. GeoBlue issues medical insurance travel plans up to age 84. Allianz and Berkshire Hathaway offer policies up to 99 years of age! Allianz Global Assistance (recommended by Wheelchair Travel.org) offers policies for those with disabilities or special needs at standard prices. Travelex’s Travel Max Policy – $1000 for emergency pet medical treatment. If you are unable to take care of your pet due to hospitalization while traveling, there is coverage of up to $10,000 to transport your pet back home. If you want to compare travel insurance companies and individual policies, a comparison tool can do just that. Comparison sites do not list every travel insurance company, but they can help narrow your choices and get an idea of pricing and coverage. Note that some sites are limited to single-trip policy searches and don’t allow you to search for annual travel insurance policies. You may have limited travel insurance coverage currently with your credit cards. Image courtesy of Shutterstock. You may currently have some form of travel insurance and not realize it, so check for current coverage if you have any of these resources. It’s worth noting that to receive credit card travel benefits, you must pay for your trip with your qualifying credit card. Some credit cards grant coverage when paying partially, but some require the entire purchase be paid with the card (or rewards points from the card). Hot Tip: To find out which credit cards offer protection, we put together a comprehensive overview of credit cards and the associated travel benefits. While many health insurance plans limit coverage outside of the United States, you may find travel coverage within your plan that can be quite significant. For example, Unum is one of the most common group insurance companies offering employers travel insurance for their employees through Assist America. Bottom Line: It’s important to know if your current health insurance plan will cover you when traveling. You may find unexpected coverage or some gaps in coverage, and be able to supplement your plan with a travel insurance policy prior to your trip. Hot Tip: Divers Alert Network provides up to $100,000 in emergency evacuation insurance for members, even during non-diving activities. The cost to be a member is only $35 annually. Only in rare circumstances does Medicare extend coverage outside of the U.S. Supplemental plans you purchase over and above your plan A and B Medicare, however, can pay 80% of medical emergency care outside the U.S. after a $250 deductible. Coverage is valid for the first 60 days you’re traveling and has a $50,000 lifetime cap. BOTTOM LINE: Benefits offered with credit cards, club memberships, employer-sponsored health plans, and Medicare do not match the protection you’ll receive with a comprehensive travel insurance policy. However, knowing what you have currently can help you avoid paying for duplicate coverage. Insurance serves the purpose of protecting us from great financial loss. For this reason, it is wise to purchase travel insurance for any trip that includes the potential to lose money if things go wrong. Travel insurance also delivers peace of mind. Even if we never use the insurance, it is one less worry knowing we’ll be compensated if an incident occurs. Fortunately, travel insurance is broadly available and also affordable. And there are so many choices! Be sure to purchase your travel insurance policy from an actual regulated insurance company for an extra level of protection. Our selections in this article were limited to strong financially rated companies, those that provided ease in getting a quote, and those that offered an understandable overview of coverages. To learn more about travel insurance and assistance in finding a policy that fits your travel needs, access our ultimate guide to buying the best travel insurance. The best travel insurance company is the one that offers a policy that fits a combination of your budget and your travel needs. The insurance company should be highly rated financially and ideally be certified with the Better Business Bureau. You should also make sure that the policy you purchase is from an actual insurance company. Insurance companies are state regulated and must adhere to rules and regulations. This extra level of protection can help if the company should go out of business or not pay your legitimate claim. As always, it’s good to compare coverage and price to find the best combination for your situation. Yes, you can purchase a travel insurance policy that includes medical insurance, or you can purchase one that has only medical insurance coverage. There are plans that require you to have current medical insurance. These plans are called secondary plans, and they pay incurred medical costs over and above what your current policy pays. There are also plans that are primary plans, which pay regardless of whether you have other medical insurance. If you do not have current medical insurance, you will want a primary medical travel insurance policy. Do credit cards have travel insurance? Credit cards offer limited travel insurance. You won’t find medical coverage, emergency evacuation insurance, or coverage if you need to cancel your trip due to an illness. Credit cards can offer a trip interruption benefit, coverage for lost baggage, and even rental car coverage. 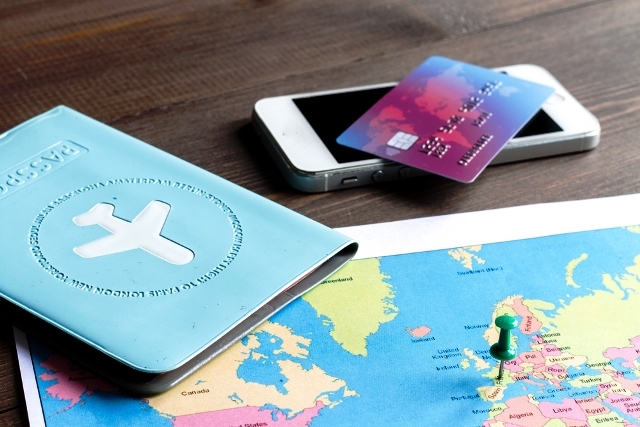 However, the coverage that comes complimentary on your credit card does not come close to the protection you receive with a comprehensive travel insurance policy. It is good to know the current coverage offered on your credit card, however, so that you don’t purchase duplicate coverage. Is there travel insurance that covers multiple trips? Yes, you can purchase a travel insurance policy that covers a single trip, multiple trips, or an annual insurance policy that covers all the trips you would take in a 12-month period. If you plan to take more than 2 or 3 trips a year, you should look into an annual travel insurance policy. Price out what it would cost for separate policies for the trips you have planned, then price out an annual plan to compare the difference in cost. You will also want to compare coverage and coverage limits. One advantage to an annual travel insurance policy is that it will cover trips you may book in the future as long as they fall into the 12-month policy term.